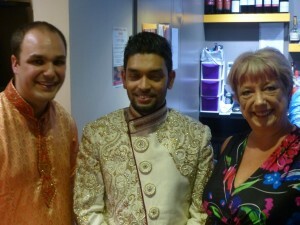 Astwood Bank came alive to the sounds of Bollywood on Wednesday 22nd June. The Little India restaurant in Astwood Bank marked its fifth anniversary since opening by donating all of the money taken from food sales on the night to the Astwood Bank Carnival fund raising group. The one hundred plus diners over the two sittings included MP Karen Lumley and Mayor Joe Baker as well as local councillors. The event will have raised a four figure sum that later in the year will be distributed to local charities and groups. As well as an excellent Indian cuisine buffet, diners were entertained by singer Nurjahan Silpi, with many of the diners marking the occasion by dressing in traditional Indian wear and receiving a free henna tattoo. Shamol Ahmed, manager and owner of Little India, was extremely pleased with the event. “We wanted to mark our fifth birthday of being part of the Astwood Bank community, and we thought what better way than working hand in hand with the Astwood Bank Carnival committee to help raise funds that can go back into local groups and charities. The funding from Astwood Bank Community Group supports the maintenance of the Redditch Nightstop hardship fund. The hardship fund is unrestricted monies that can provide young people between the ages of 16-25 years with items such as new clothes for job/college interviews, travel costs, new or replacement identification documents and Nightstop social activities, all of which aim to reduce barriers for young people to re-engage with society. Ridgeway Academy staff and pupils cannot thank Astwood Bank Community Group enough for the very kind donation, which will allow us to purchase much needed, benches for around the school site. With the current school funding crisis schools simply do not have the funds to purchase ‘nice to have’ items any more so having donations like this goes a very long way. We plan to purchase specialist recycled plastic benches which will not need replacing for many years to come thanks to the heavy duty and hard wearing materials they are made out of. We are very proud to be able to take part in the carnival events and projects so to receive this kind donation makes it all worthwhile”. 1stRedditch Boys’ Brigade offers its members the opportunity to take part in the Duke of Edinburgh Award scheme and over the last 18 months have put four lads through the Silver award, following their expedition weekend in September 2018 they have now completed this award and will hopefully go on to do their Gold Award. We also have eight younger members who will start their Bronze award from March this year, we will need to buy additional tents, cooking equipment and basic training equipment. This funding will enable us to purchase this equipment, along with paying for camping fees, transportation costs and the DOE assessor’s fee on completion of the scheme without the need to charge the members for this experience. At 1stRedditch Boys’ Brigade we believe that all children should be offered the same opportunities and the DOE award scheme is a great chance for our members to make friends, learn life skills and gain independence. Thanks to funding from Astwood Bank Community Group our members are able to continue with this great award scheme. 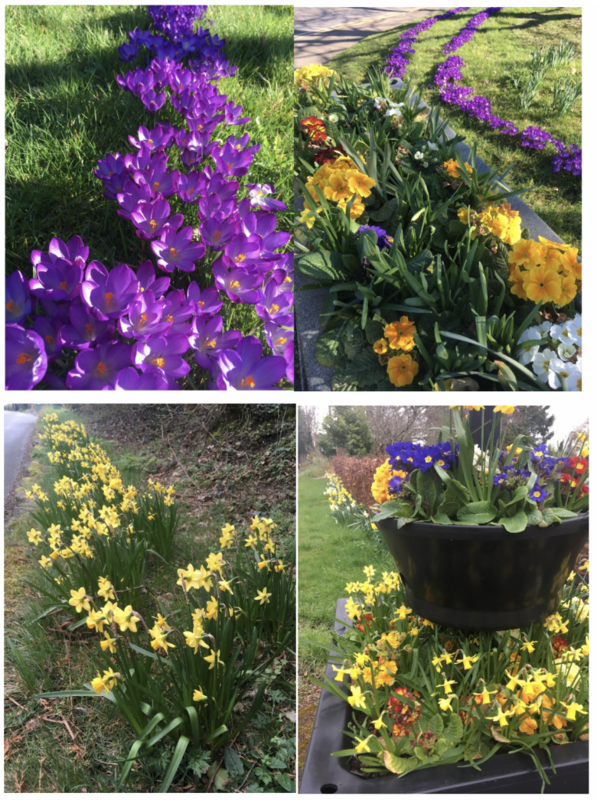 Spring has certainly brought a riot of colour to Astwood Bank with the hard work of the Astwood Bank in Bloom group, and all of those volunteers who helped out with the mass bulb planting back in October, really showing dividend. Every year we plan to plant more spring bulbs around the village, so make a note that this year we’ll be busy bulb planting on Sunday 20thOctober, and we’ll need everyone’s help again. Back to more immediate plans, we are once again running an informal sunflower competition. No prizes but just a bit of fun to see who can grow the tallest sunflower in Astwood Bank. If you want to join in we have a limited number of free seedsto distribute around the village. So you can either email bloom@astwoodbankcarnival.co.ukand request them, or drop into our partners at Botany Bay and pick up a packet (whilst stocks last). At the end of May / first week of June we will be putting all of the summer bedding plants out around the village. We’ll be securing the wooden troughs that have been stored away during the winter months, so if you would like one located near to you, and are willing to plant it up then look after it for us throughout the summer (why not ask your neighbours to help out too), drop a line to bloom@astwoodbankcarnival.co.uk. We have limited numbers so we’ll try and make sure there is good distribution of them throughout the village where everyone can admire them. We had an excellent response to our request for residents to open up their gardens as part of the open garden weekend on June 8th/ 9th. First of all a very big thank you to all of them, but we are still looking for a few more, so if you just want to know a little bit more about it, or have made up your mind and want to take part, please do contact the organiser Sam Mulhall on sam.mulhall@gmail.com or call her on 07989 662754. We are very pleased to announce that Botany Bay Nurseries, Garden Centre and café have agreed to sponsor the event and will be acting as one of the points where you can buy tickets from, as well as obviously your plants etc. Also we are delighted to announce that St. Matthias & St. GeorgeChurch in Astwood Bank are hosting a flower show that weekend. Please do make a note of June 8th/ 9th to support Open Gardens and the Flower Show that together will raise funds for local organisations. Watch out for the Bunny! Comments Off on Watch out for the Bunny!